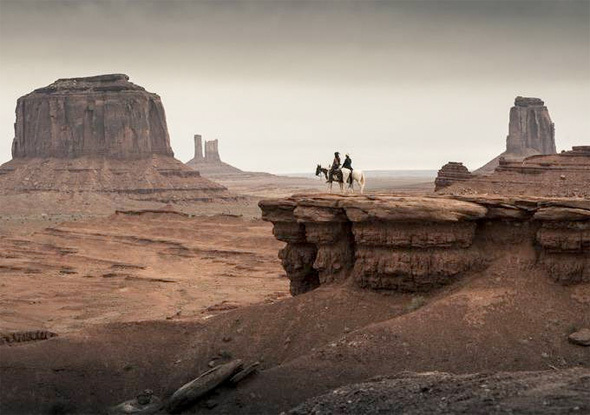 After the reported budget that was bursting at the seams, The Lone Ranger still impressed fans with a surprise teaser trailer at Comic-Con this past summer. 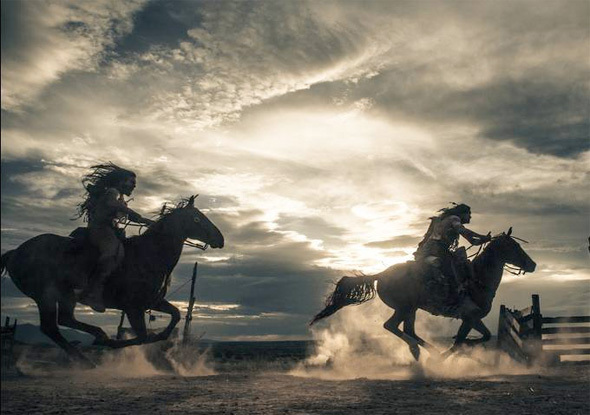 We're still hoping to see that show up in theaters before the year is out, but until then, we have some new official photos of Johnny Depp and Armie Hammer in the Disney film from Pirates of the Carribean franchise director Gore Verbinski. 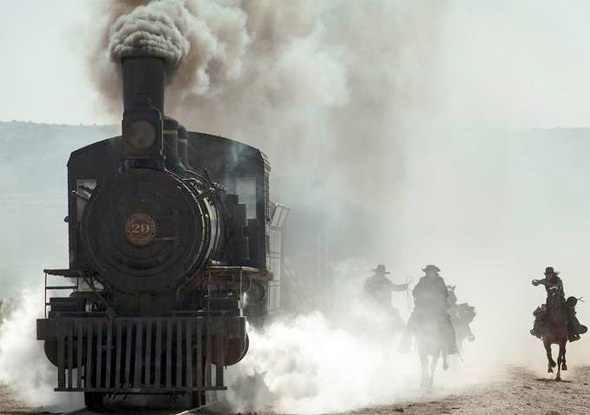 In addition to a couple great hero shots (in the vast Southwest landscape), we get a glimpse at some of the action, including one big fight between cowboys and the military and the locomotive (built from the ground-up). Johnny Depp in his usual self. Oh look an original idea........oh wait nvm. Come on Hollywood, Is really that hard to come up with original stories? Looks pretty cool to me! I cannot wait for the teaser trailer! Just announced Gore Verbinski & Tim Burton is teaming up for directing a film called "Johnny Depp". It stars Johnny Depp as a slowly fading celebrity who is on the verge of losing his career and life at once. He must create a radical idea to save himself or Johnny Depp may be gone forever. Released date announced possibly 2015 I heard in the news. I'm not liking this. I thought I would. 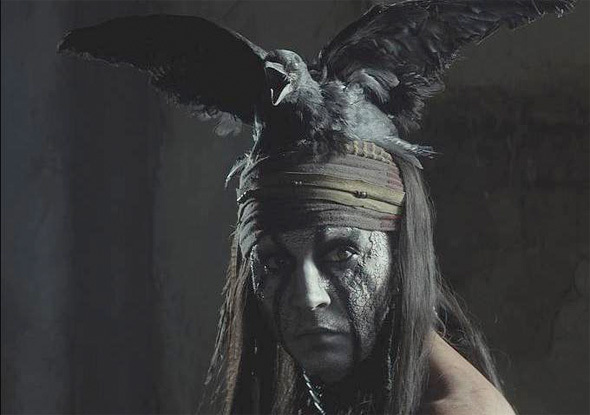 Just the idea of Johnny Depp playing a Native American makes this a no watch for me. Most of his roles are entertaining, but I think he is horribly miscast in this movie, and with his penchant for adding "quirkiness" to his characters, there will no doubt be unwanted humor here. I don't see 300 million bucks' worth of movie there. But even POTC wasn't a sure thing in anyone's mind back in 2003. Trains man, they ruin budgets. 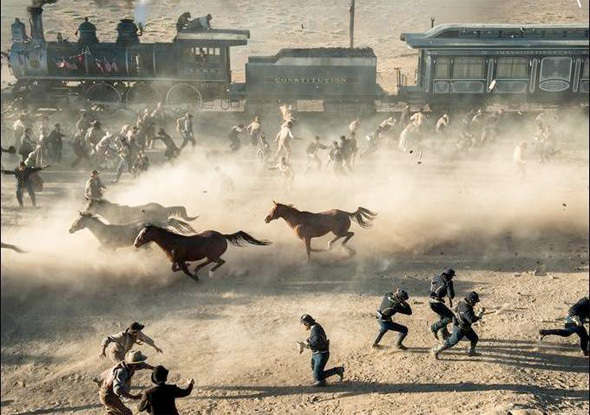 No, What would of ruined the budget in The Lone Ranger, would be the cgi'd wolves that they were going to have in This Lone Ranger movie originally.